We’ve been approached today by Ashford Price and asked to publish the following statement. 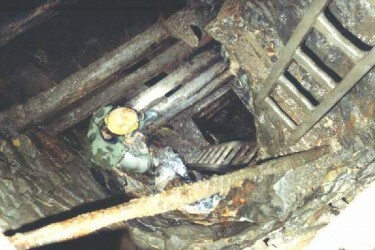 Ashford Price owns land in South Wales under which a number of well known caves can be found, and is also a BCA individual member. Why I shall vote NO. 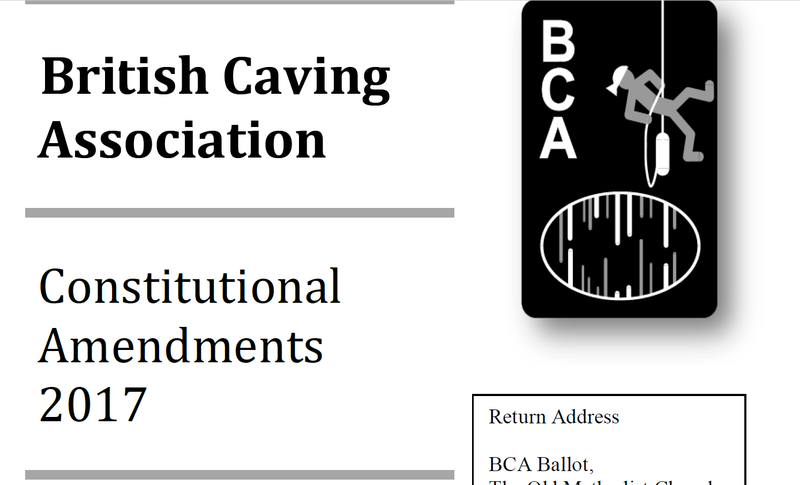 The ballot paper that is being sent out by BCA raises the question as to the rights of landowners, farmers, showcave operators etc., in allowing cavers to look for caves, and enter caves already discovered on their land. BCA proposals are asking you to agree to have these rights ‘removed’ from the BCA constitution. If this motion is approved it will send out all the ‘wrong signals’ to the above mentioned bodies. In caving areas such as South Wales, Mendips, and Derbyshire the majority of caving clubs have excellent relationships with the people who have caves on their land. In most cases these agreements have stood the test of time over the years. Therefore the question has to be asked why are BCA proposing this change that will only cause great upset, and achieve so little? In my opinion this is being done purely to facilitate certain cavers, on the BCA Committee, in their desire to change the CROW Act. These cavers feel that by removing the ‘offending statement’ it will help them in their desire to allow everyone to have the right to cave on CROW land, and the BCA constitution will then back this desire up. There is a very old saying that says if it’s not broken don’t fix it. 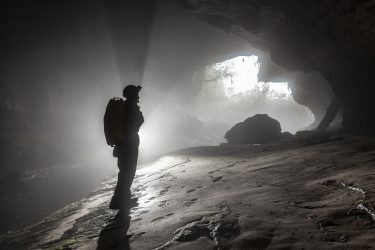 The excellent relationships that exist in most areas between cavers and landowners are being put at risk by this proposed change. Please think carefully before casting your ballot. The statement makes clear that the BCA’s actions and the ballot underway now does risk damaging relations between cavers and landowners. At Darkness Below we are very keen to support the BCA’s work whenever possible, but equally we are prepared to criticise where we feel it is justified. In an article last week we attempted to explain the ballot process, repeated the BCA’s explanation for the the proposed changes and also tried to present an alternative view along with the background to the changes. We were subsequently accused of bias on Facebook and elsewhere, which is a fair criticism, we were expressing our fears that the proposed change could damage relations between landowners and cavers – the opposite view to the BCA opinion that it will not. Sadly, Ashford’s statement makes it clear that our concerns are justified. 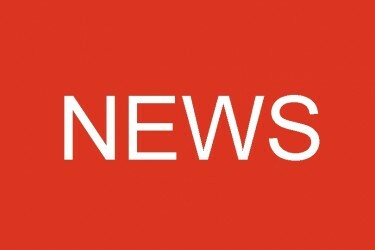 We have also heard from other landowners and sources connected with them expressing similar worries. So to repeat Ashford’s statement, please think carefully before you cast your ballot, if you haven’t already done so. Incident 63/2017 – Aug. 27th Sun. 14.53 – Baxenghyll Gorge, Ingleton, North Yorkshire – Mountain Rescue. Incident 64/2017 – Aug. 29th Tue. 12.59 – Gordale Scar, Malham, North Yorkshire – Mountain Rescue.